The Blackwoods is one of the popular shows in Branson to give audiences the touch of legendary gospel music at the Dutton Family Theater. The show brings the Blackwood family’s gospel music tradition to Branson stage. R.W. Blackwood and his talented wife, Donna, carry on the family tradition of uplifting, inspirational, and good gospel music. After entertaining audiences for 15 years in full-packed music venues in Pigeon Forge, the Blackwood family had made Branson their new home. The Blackwood family will be performing the music made famous by the Blackwood Brothers Quartet, and sharing heartwarming stories from the family’s history in music. 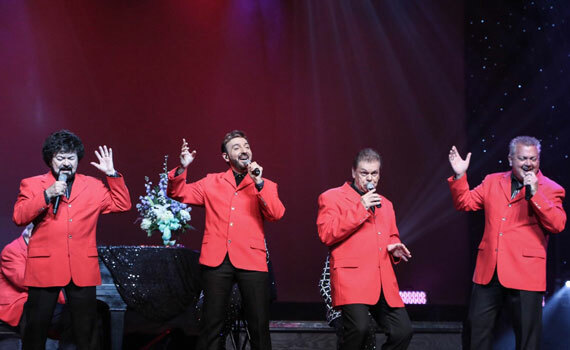 The Blackwoods show in Branson include songs in honor of some of the greatest performers in the world, the performers they’ve had the privilege to work with. They will perform a solid tribute to honor our Veterans in this great country that serve to wrap up this one-of-a-kind performance show. This show will relive the excitement of the Blackwoods singers performing with Elvis Presley, Charlie Daniels, the Oak Ridge Boys, the Gatlin Brothers, Statler Brothers, Johnny Cash, Barbara Mandrell, Roy Rogers and Dale Evans, Ronnie Milsap, and the list goes on. The Blackwood Brothers Quartet have received scores of Dove Awards and multiple Grammy’s, and all that incredible talent that runs in the family. So, if you are a fan of gospel music, then make plans to watch “The Blackwoods” at the Dutton Family Theater in Branson. The Blackwoods are widely known throughout gospel music circles for their pure family harmony, excellent showmanship, and first class entertainment. The Blackwoods is a show that strolls down memory lane with history and video of the original Blackwood Brothers and Blackwood singers and the songs that made them a household name. A rousing veteran’s tribute will always be given as a part of the show where audience members experience a great performance. The Blackwood Singers have been awarded eight Grammys, 27 Dove Awards, five All-American Music Awards, the Publishers Choice Diamond Award, and the coveted Living Legend Award in Gospel Music. They were also a big part of the Branson music scene for many years with their own show at the Ozark Jubilee Theater, before moving to Pigeon Forge where they based their show for 15 years. Today, the Blackwood is now back in Branson to bring back gospel music tradition. The Blackwoods is one of the shows in Branson that provides audiences the touch of legendary gospel music at the Dutton Family Theater.